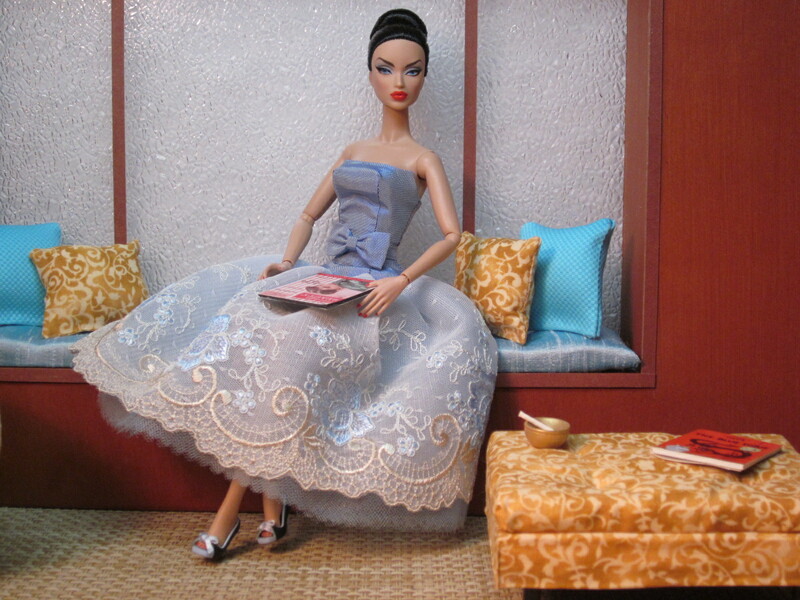 Victoire relaxes before her dinner date arrives in an elegant, feminine gown. The strapless bodice is made of French blue silk taffeta shot with cream. The full skirt is made from numerous layers of scalloped tulle in pale blue and French blue. The lace overlay has an embroidered pattern of flowers in creamy yellow and cornflower blue. A bow belt highlights the waist. Thank you to Maryann Roy at Welcome Home for the furniture, accessories, and window seat.